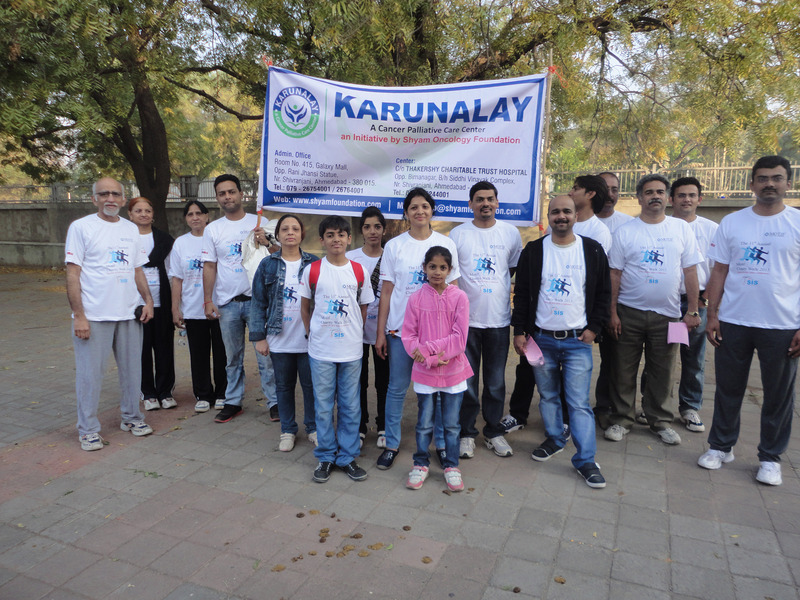 Camps for awareness of cancer, thalassemia and early detection of cancer are the cornerstone of our activity. Majority of Indians lack knowledge about what causes cancer, early signs of cancer, tests for early detection. 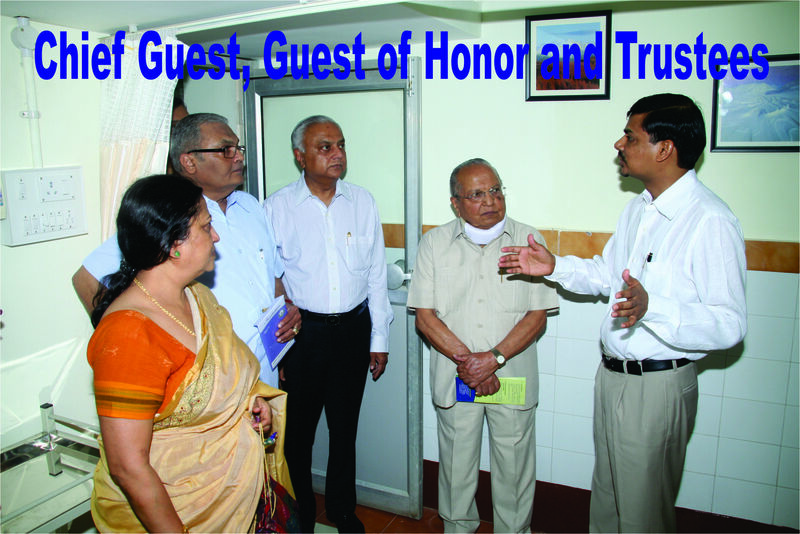 Also many myths prevail about cancer and its treatment. We have been working on this issue for many years, primarily aimed at people in low socioeconomic groups. 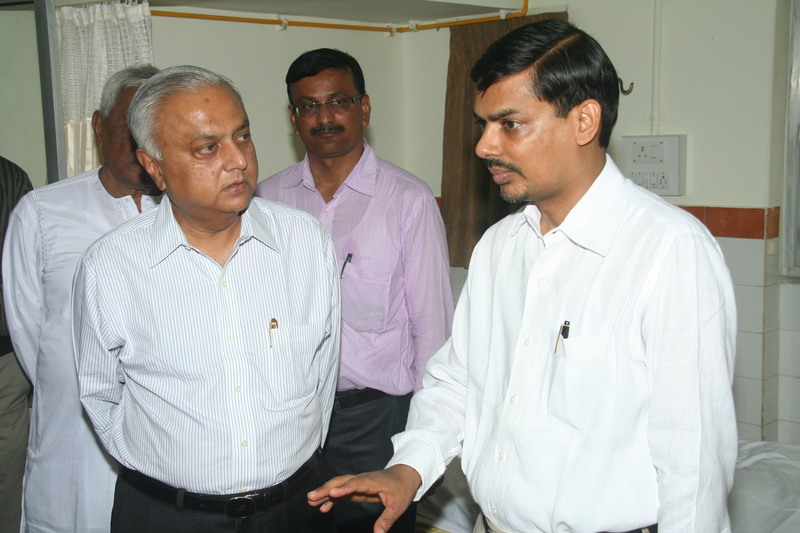 At such camps, people are first educated about cancer, and briefly about thalassemia. This is done with use of multimedia and other means. By January 2014, more than 3000 people have attended these sessions. Message has reached many more by use of other media such as distribution of print material, television, internet, word of mouth by volunteers and friends etc. 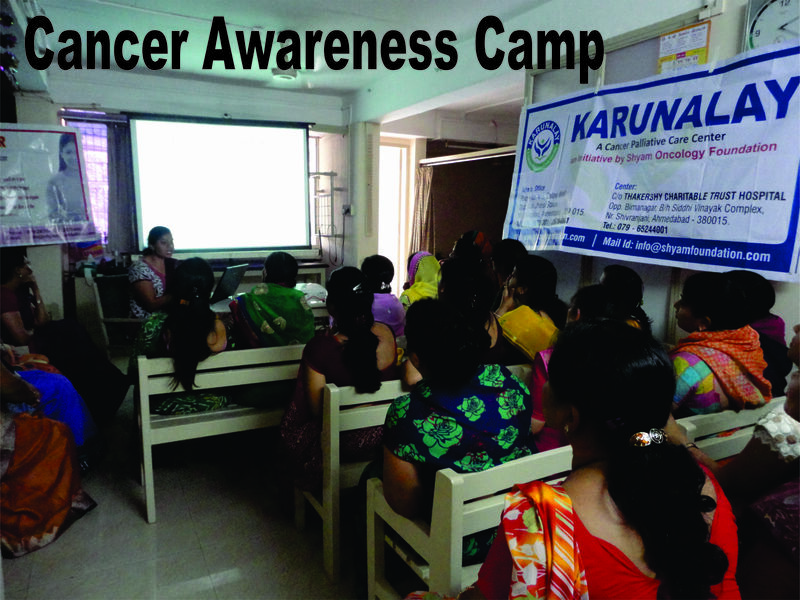 After the awareness talk, at the same camp, we also screen women for early diagnosis of cancer of cervix and breast. These tests are offered completely free of cost. We have screened more than 2000 women by now. By combining awareness and early detection, on site, more enrolment is possible. We carry needed equipments to the camp site. Most of the camps are arranged in or near Ahmedabad, Gujarat. 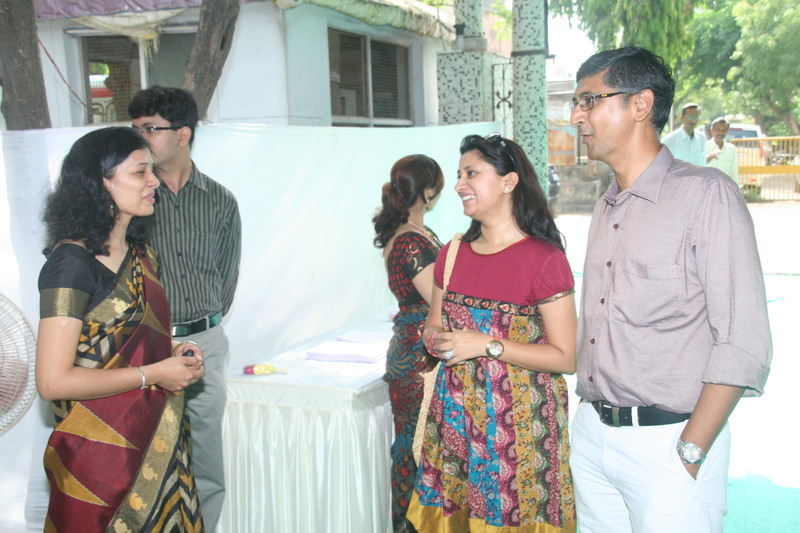 Some camps have been done in other cities or villages of Gujarat, such as Vadodara, Visnagar. We also support treatment of some poor patients, primarily for early stages of cancer, where chance of cure is high, but patient is unable to afford treatment. 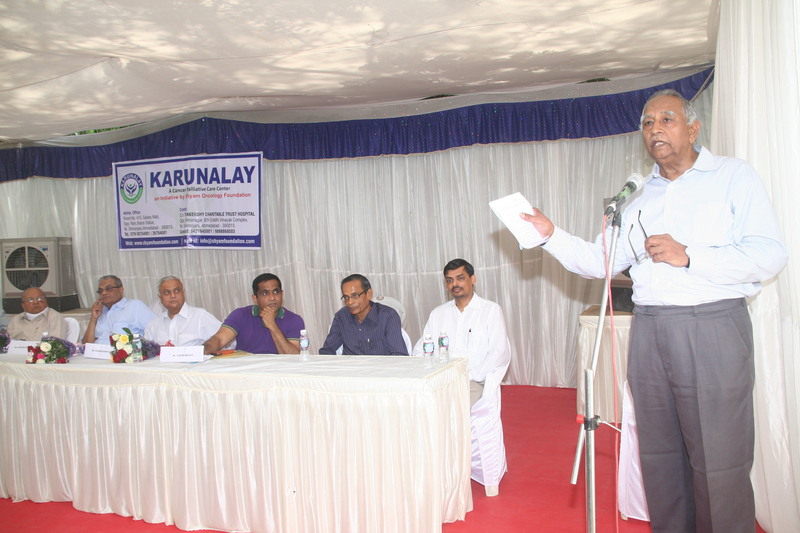 KARUNALAY this initiative started in April 2012, a center for palliative care, with facility for outpatient care and 10 beds for inpatient care. All the care is provided completely FREE of cost, for patients in advance stages of cancer where any standard cancer treatment is no longer possible. Advance cancer patients have many needs – mainly relief from severe pain and other distressing symptoms, AND counselling for the psychological distress experience by them and family members. Both are provided here by trained team, and without any fees, as the goal is to ensure that patients do not suffer, regardless of who they are. Even when Cure is not possible, CARE is always possible. Palliative care is an established branch of medicine in developed countries, but very few such centers exist in India, especially in Gujarat. Our center is located in Ahmedabad, Gujarat and caters to people of whole state and nearby states like Rajasthan, Madhya Pradesh, and Maharashtra as well. We plan to expand to home care service as well, as many poor people do not have resources to travel to our center, even to avail completely free treatment.